The rent at The Hamptons Apartments ranges from $825 for a one bedroom to a $940 one bedroom. Apartments in this building are about 9% less expensive than the Mesa average. This is a pet-friendly apartment. This apartment is in Mesa. Nearby parks include Mesa Tierra Number Three Subdivision Mini Park, Emerald Acres Subdivision Number Two Mini Park and Sunview Park. The Hamptons Apartments has a Walk Score of 31 out of 100. This location is a Car-Dependent neighborhood so most errands require a car. The Hamptons in Mesa, AZ has all the ingredients for a vibrant lifestyle. The community is located less than a minute from US 60 and Gilbert Road. 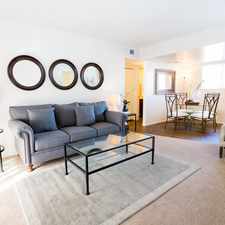 Our apartment homes are bright, tastefully finished and pet-friendly. You can stay active at our fitness center and enjoy the sunshine from our pool. The picnic area is perfect for grilling up a meal with family and friends. For your convenience, the community is gated and provides a courtesy patrol. To learn more about life at The Hamptons, make an appointment by submitting your details on the Contact Us page (top right). You'll feel at home in no time. Explore how far you can travel by car, bus, bike and foot from The Hamptons Apartments. The Hamptons Apartments has some transit which means a few nearby public transportation options. Car sharing is available from RelayRides. The Hamptons Apartments is in the city of Mesa, AZ. Mesa has an average Walk Score of 37 and has 439,041 residents.